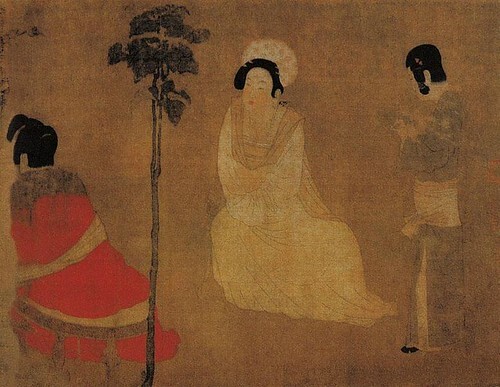 Zhou Fang (周昉, ca 730-800) is an influential figure painter of the mid-Tang Dynasty. 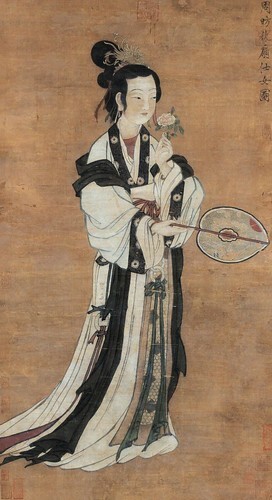 His courtesy names include Jingxuan (景玄) and Zhonglang (仲朗). 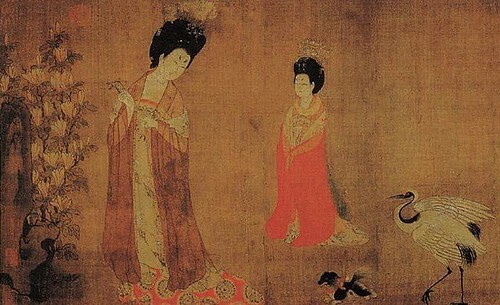 Zhou Fang lived in the Tang capital of Chang'an, which is the modern Xi'an, during the 8th century. 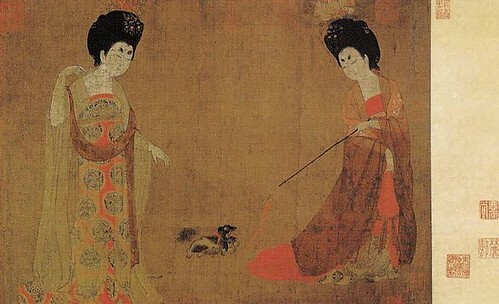 He came from a noble background and this was reflected in his works, which included Court Ladies Wearing Flowered Headdresses (簪花仕女圖). 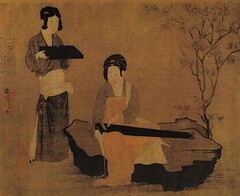 He was influenced by the pure and detailed style of Gu Kaizhi (顧愷之).